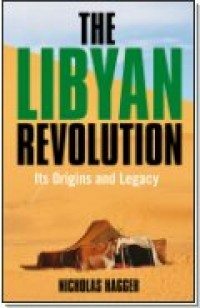 This book assesses the origins and legacy of the Libyan Revolution and includes texts of the illustrated two-page spreads purportedly by “The Barbary Gipsy” which Nicholas Hagger wrote for the now defunct Daily News in Libya in 1969. The book coincides with the 40th anniversary of the Libyan Revolution. Forty years after Col. Gaddafi’s Libyan Revolution cut Libya off from the outside world, scrubbed out Western lettering and turned the country against the US, Libya has changed its outlook, renounced nuclear weapons and reopened itself to Western cruise ships and tourists. Gaddafi is still in power. Nicholas Hagger, an eyewitness of the events of the 1969 Revolution and plans for a rival coup, predicted at the time that Gaddafi would still be in power 40 years later. He narrates the story of the first year of the Revolution, identifies its aims and considers if they have been achieved. Before the Revolution he wrote a weekly two-page feature in a Libyan English-language newspaper under the byline the Barbary Gipsy. This is a memoir and portrait of western Libya. The places visited have changed little since a return visit in 2001 established. This book is required reading for all visitors to Libya today. Nicholas Hagger’s literary travelogues delve deep into countries much in the news. They bring a new approach to travelogues in combining eyewitness perceptions and anecdotes with historical reflections.